"I have previously been using 'Fopp', but am switching to Rentisham's. Can I apply Rentisham's directly, or will there be an adverse reaction?" Boffo says: "Oh dear me. Far be it from me to disparage our rival's vastly inferior product, but it's reassuring that you've at last seen sense. 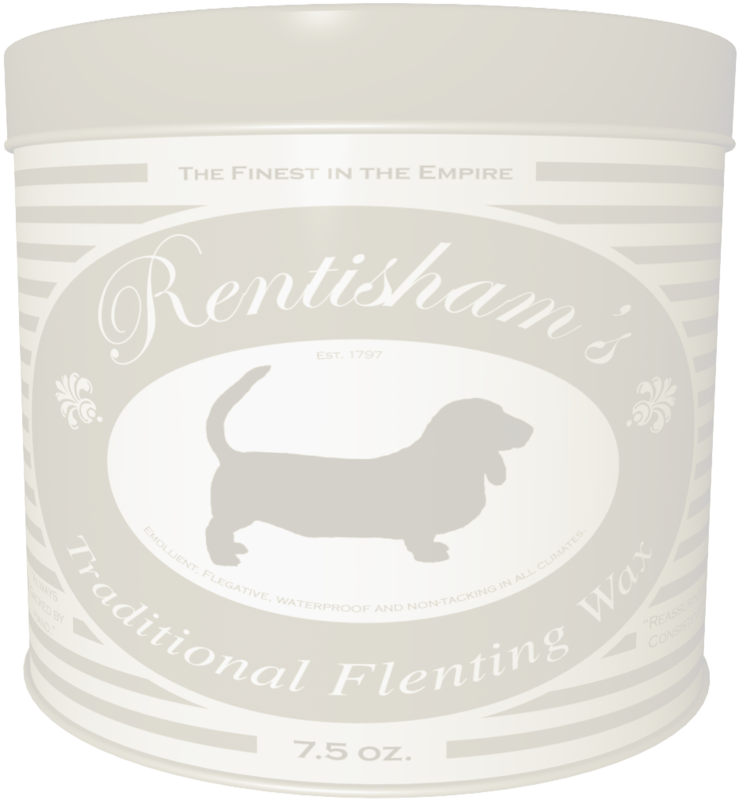 Now, although Rentisham's is formulated for its emollient and flegative qualities, and displays no adverse reactions in normal usage, we cannot vouch for the composition of Fopp. Accordingly, we cannot guarantee that there will be no adverse reaction if something previously flented with Fopp is re-flented with Rentisham's, especially if the previous treatment was within the last year. For your peace of mind, therefore, we recommend that you first use linseed oil, or a blend of olive oil and turpentine, to remove any residual Fopp before the first application of Rentisham's. Thereafter, you should experience no difficulties, and will of course enjoy the superior benefits offered by Rentisham's. "I will be travelling in Malaya for an indeterminate period. Will Rentisham's withstand prolonged heat and humidity? Should I take sufficient supplies to re-flent, or is this unnecessary?" Of course, if there is any risk that your travels will be prolonged substantially beyond a twelve-month, you may wish to consider a thorough re-flenting of key items when opportune. For this, one of our 'Magellan' canisters should prove more than sufficiently adequate. These canisters are proof against humidity, termites and mould, and have a flenting brush and burler clipped to the inside of the lid. Please note that we do not recommend adding turpentine to Rentisham's, even in hot climates, contrary to the advice offered by manufacturers of lesser products. "Is Rentisham's harmful to koi carp?" Boffo wonders: Why do you ask? "Are any special precautions needed when flenting whilst wearing a beard?" Boffo says: There is something of a myth in currency, to the effect that flenting can be hazardous for those who affect a beard or moustache. However, I can assure you that there is no substance to this whatsoeveratall. As long as you observe a few common-sense precautions (such as ensuring that the burler is extinguished after use), there is no cause for concern. Of course, sideburns should be avoided completely, but this is purely a matter of style. "I know Rentisham's is 'Always gacked by hand', but is this strictly necessary - surely the Vendham Steam Gacker is as effective?" Alden answers: After some 45 years in Rentisham's technical department, I can honestly say that we have explored every possible innovation in the formulation, blending, gacking and maturing of flenting wax - never let it be said that Rentisham's doesn't move with the times! We evaluated steam gackers when they first became available in 1908, and were the first company to acquire a Vendham. However, despite extensive trials, we were never able to gack to the high standards attainable by hand gacking. Machine gacking of any sort disrupts the flegative qualities of the carnauba wax and leaves it in a flaccid state susceptible to moisture. Other companies (need we mention Fopp?) have gone over entirely to steam- or diesel-driven gackers, and claim that their products are more consistent as a result. I can only urge you to read the reports of Shackelton or of Meltisford on this matter. Hand gacking is a highly skilled job, but the results speak for themselves. "My cat is allergic to Rentisham's; what do you recommend?" Boffo answers: It is a straightforward matter to replace a cat. "I'm about to lay a hedge-and-wicket fence on an east-facing site. Should I flent the crowthers, or will the poulting mallet destroy the protective layer?" Alden says: Flent the crowthers in the usual way before laying, but apply a slightly heavier coating of Rentisham's, and use a sealskin brining awl. Make sure the poulting mallet has no rough edges or high-spots. Check the crowthers after driving and, if you notice any severe abrasions, dab on a little Rentisham's with a moist finger. "My grandfather left seven 'Empire' canisters of Rentisham's to his grandchildren. The seals on the canisters are intact, but will they still be as flegative as when new? They have been stored in the basement of a folly in Norfolk since purchased." Alden says: My word! Production of the 'Empire' canisters stopped in 1897, so your grandfather must have bought the very last of the stock. Check the serial number on the base of each canister and, as long as it is not in the range 17488-21590, open each canister in a darkened room and check the contents for consistency and for a smell of toasted coconut. It sounds as if they have been kept in an ideal environment but, if they have been exposed to prolonged heat, the contents may have separated; if so, a brief immersion in boiling water and a thorough stirring will re-homogenize them. If the serial numbers of any of the canisters do fall in the range 17488-21590, proceed with caution: these are from the notorious 'bad candelilla wax' batch of 1895, and are apt to ignite spontaneously on contact with air. In this case, Rentisham's will be pleased to replace such canisters with the equivalent weight of 'Scott' drums. "I have a friend in America who wants to know if Rentisham's is available there." Boffo says: No. Most emphatically not. Rentisham's is not, and never will be, available for sale in the Colonies. There was a brief period in the late 1800's when Rentisham's was available in the eastern part of the United States, but since 1887 the export of any kind of flenting product has been forbidden. The only legal export of flenting waxes from Great Britain other than for personal use is (a) to Tristan de Cunha, as part of a longstanding agreement and (b) to members of Her Majesty's Armed Forces. Please also advise your friend against purchasing any "Rentisham's" from vendors in the United States: invariably, their product is counterfeit and apt to produce a rash. Boffo says: If I could give you a definitive answer to that, I'd settle more bets than the Grand National! For my money, badger is best in all but the coldest climates. However, if you have tight fentlocks or need to re-apply flenting wax in temperatures below 5°F, you might get on better with squirrel. In the end, it's largely a matter of personal preference. "I am engaged to be married to a very pleasant young man, but he doesn't flent. What should I do?" Boffo says: Far be it from Rentisham's to offer advice on such an intimate matter. However,ask yourself this question: 'would I want my daughter to marry a man to whom the flenting brush and burler are as strangers?'. You may also wish to reconsider your use of the word 'pleasant'. "I was careless enough to get a little Rentisham's on my best trousers. What's the simplest way to remove it?" Alden says: Rentisham's can be removed immediately after spillage by dabbing the area with a little olive oil, then laundering as usual. If the stain has been left for more than 24 hours, however, removal is best effected by dry cleaning. We strongly advise against smoking whilst wearing clothes stained with Rentisham's. "My pastry chef complains that the Rentisham's causes lumps in the suet puddings. Is there a cure for this problem?" Boffo says: I have consulted one of my own pastry chefs. He is of the opinion that your pastry kitchen is probably too cold. If this cannot be rectified, warming the suet in the Aga should rectify matters. On no account, however, should you allow your pastry chef to attempt to warm the Rentishams's in this way, unless you are already considering replacing him (or the Aga). "An associate in Brazil tells me that ouricury wax is in short supply. Is this likely to impact on the availability of Rentisham's?" Boffo responds: Let us quash this rumour in the bud before the horse has been led to water under the bridge too far. The Brazilian Feather Palm has always been grown in only a few plantations, and the supply of ouricury wax has long been subject to considerable annual fluctuation. Since the Great Crisis of 1894, therefore, Rentisham's has maintained a stockpile of this wax, more than sufficient to tide us through two or even three years of poor harvest. The Rentisham's stock is kept in readiness in our storage facility 700 feet below Porthcawl, where the consistent temperature and absence of light ensure that it loses none of its emollient qualities. We do not, therefore, anticipate any interruption to the manufacture of Rentisham's, and urge our customers not to 'panic buy'. "My gamekeeper insists on flenting in the spring; my ghillie insists on flenting after the last frost - who's right?" Alden's verdict: They both are! Your gamekeeper is of course thinking of the glorious twelfth, and seeks to ensure that the summer's birds are in full fettle. Your ghillie, on the other hand, is readying matters for the fly season. Leave them each to their own. "What is the best way to introduce a boy to flenting?" Boffo's advice: Let him develop an interest in his own time. The right sort of lad will come to this stage of life in the fullness of due course, and pressing matters can do more harm than good. Youngsters are apt to be alarmed by the flames, and of course accidents with the brining awl are all too common. As they say in these parts, 'time's a dark sheep, but a slow drinker'. "What is the best time of year for flenting bulky items stored out of doors?" Alden answers: In the northern hemisphere, we generally recommend that items kept outdoors over winter be flented in late September or early October. At this time, the drying effects of winter have not yet set in, and the air temperature is high enough to ensure a good flow and penetration of The Wax. A good treatment in the autumn will ensure that even the harshest winter frost will not lead to cracking, chafing or warping. That said, if you have flented in the spring or summer, there is no harm to be done by waiting until the following spring to re-flent. A small dab of Rentisham's on any fentlocks following a harsh frost doesn't go amiss, though. Stumped for an answer? We've compiled a list of "FA Questions", answered by none other than Guy "Boffo" Rentisham with the help of our technical department, Alden "The Gack" Bemptley.